Town of Niagara Supervisor Steven C. Richards reportedly will plead guilty, resign and agree to pay restitution. 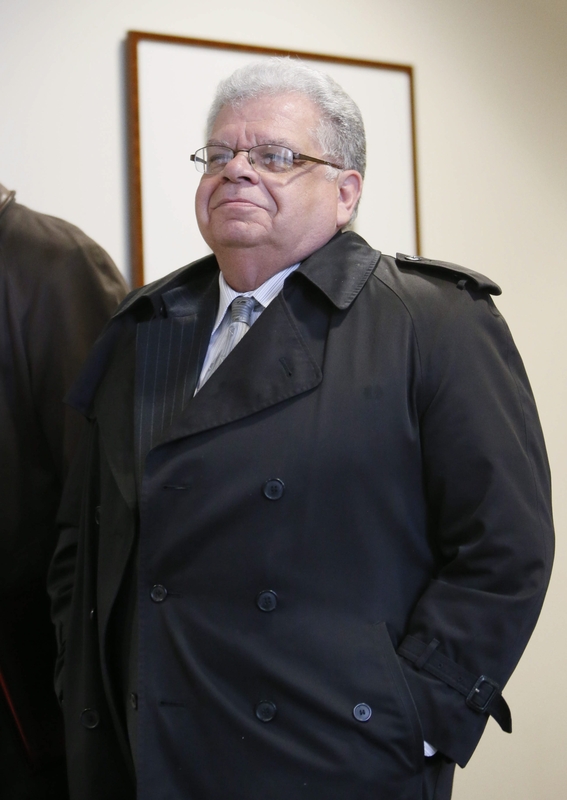 Longtime Town of Niagara Supervisor Steven C. Richards is considering pleading guilty Monday in the public corruption case against him, according to legal sources. Meanwhile, Richards cleaned out his office this Monday and left the office keys on his desk, according to sources at Niagara Town Hall. Those sources said Richards has agreed to plead guilty, resign from office and make restitution. The case is scheduled for further proceedings before State Supreme Court Justice Christopher J. Burns at 9:30 a.m. Monday in the Niagara County Courthouse in Lockport. Scott Hateman of the Personius Melber law firm in Buffalo, which represents Richards, confirmed the Monday court appearance. State prosecutors and defense attorneys met Tuesday with the judge in chambers in the Erie County Courthouse in Buffalo to discuss the case but did not go on the record after the meeting. The defendant was in the courtroom audience. Richards did not return calls to comment. Town Board members who asked not to be identified said they learned Richards would plead guilty to a charge reduced from a felony to an “A” misdemeanor that would require that he resign and make full restitution of about $1,000 by today. Richards is expected to accept the plea in court Monday and be put on probation for an unknown length of time. Deputy Supervisor Danny Sklarski, who would replace Richards upon resignation, said he had heard that Richards moved out of his office, but he said he has not talked to him for a few days. Richards, 60, who was first elected town supervisor in November 1995, had been scheduled to go to trial next week before Burns. He was charged last October in a 28-count indictment accusing him of engaging in practices as far back as 2001 to steal town goods and resources, including using town employees to do work for his family-owned company. The charges included one count of defrauding the government, two counts of fourth-degree grand larceny and one count of fourth-degree criminal possession of stolen property – all felonies – as well as 11 misdemeanor counts of petit larceny and 13 misdemeanor counts of official misconduct. In February, the judge dismissed one of the grand larceny counts and two of the misdemeanor counts after Assistant State Attorney General Diane LaVallee told him that prosecutors consented to the dismissal because the statute of limitations for those charges had expired. In March, the judge dismissed two more charges of official misconduct – one alleging that from March 2002 to March 2012, Richards possessed a shotgun that belonged to the town Police Department and the other alleging that he possessed a generator owned by the Police Department from October 2011 to March 2012 at his home or Richards Motor Service, a Town of Niagara auto repair business operated by Richards and his family. Burns also limited the charge of defrauding the government to Richards’ activity on or after Feb. 12, 2010. The judge rejected requests from Richards’ defense attorneys to dismiss 11 other counts. It is not clear which of the remaining 23 charges would be involved if a guilty plea were entered Monday.